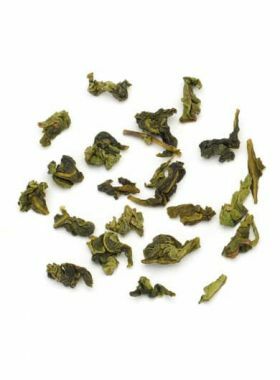 Ali Shan Oolong is the representative Taiwan high mountain tea with its cost advantages. 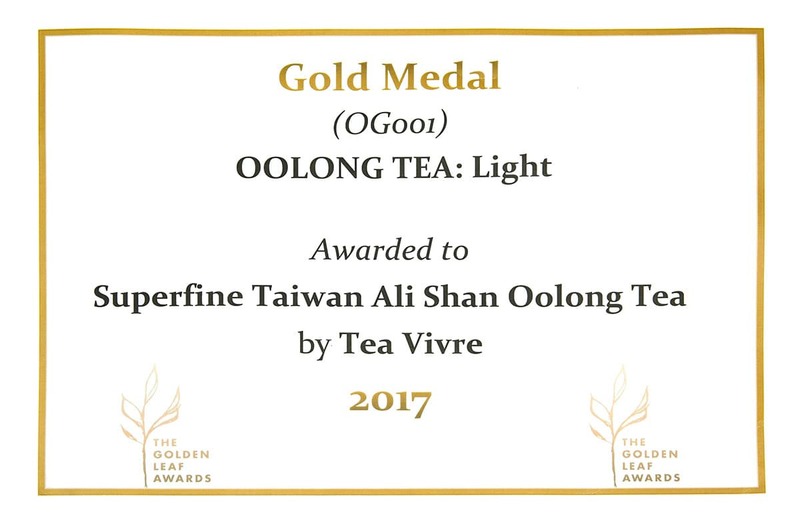 The Golden Leaf Awards is the premier tea award event in Australia, judged by experienced professionals within the food and drink industry hand-picked for their knowledge and exceptional taste and we’re excited to announce that this Superfine Ali Shan Oolong Tea has won the GOLD MEDAL in the Light Oolong category at the end of March 2017. 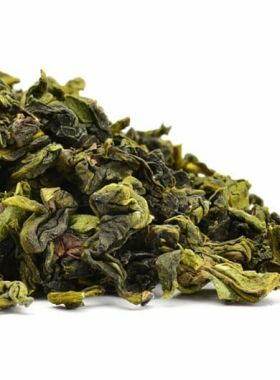 This Superfine Taiwan Ali Shan Oolong Tea we brought to you on TeaVivre is from Chashancun Tea Garden which locates in the south of Ali Shan tea district. Cayamavana（扎亞馬瓦那）is the alternative beautiful name of Chashancun. The ecologic high mountain tea garden makes it a perfect area for producing high quality Ali Shan Oolong Tea. In Taiwan, tea grown above an altitude of 800 meters is referred to as High Mountain Tea. 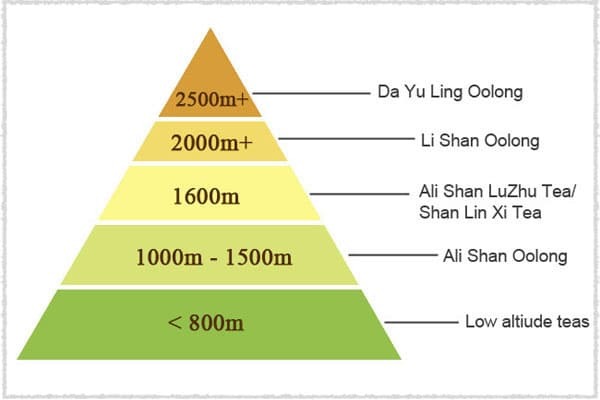 The main representatives of this type of tea include Ali Shan Oolong Tea, ,grown at an altitude between 1000 and 1500 meters; Ali Shan LuZhu Tea and Shan Ling Xi Oolong, at 1600 meters; Li Zhan, at over 2000 meters; and Da Yun Lin High Mountain Cha Wang Oolong Tea, above elevations of 2500 meters. Normally, in Taiwan tea trees grown at the altitude less than 800 meters are called as low altitude tea. It is different from high mountain tea on the geological features and climate. 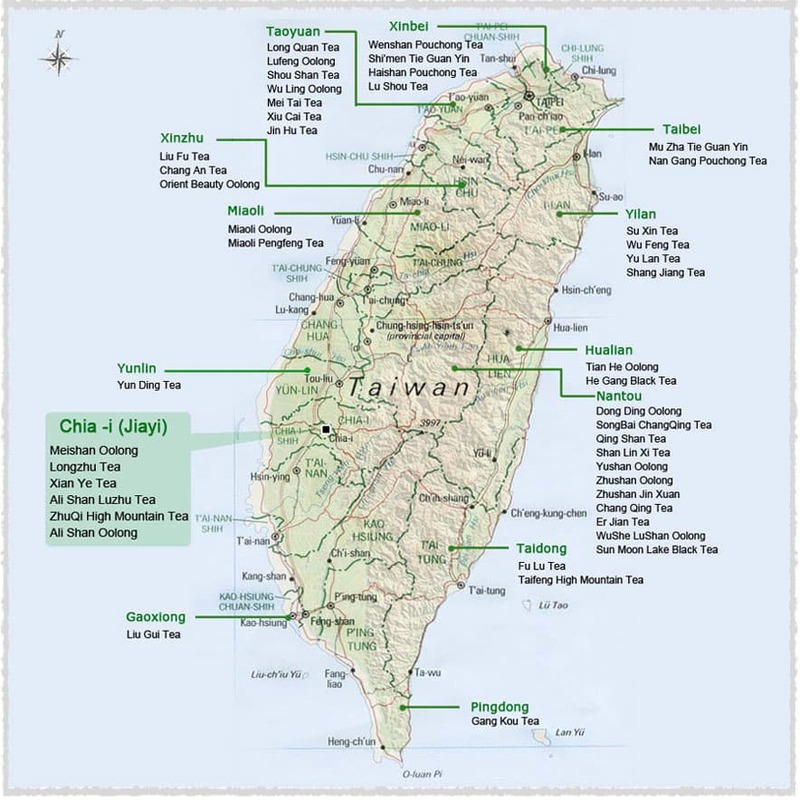 Taiwan is a mountainous island with the mountain area covers almost 2/3 of its total area. With high mountains in the middle of the land and low coast surrounded, the island has wild water and good drainage. Climate here is more complicate. Mountainous geography allows monsoon climate and high mountain climate existing at the same time. Li Shan Oolong Tea grows in the area over 2000 meters high. Yet as we know, temperature declines 6 degrees for each kilometer the altitude rises. Therefore, the climate on Lishan Mountain is cool all year round. Tea leaf grows slowly, and is soft with elegant aroma and obvious floral scent. 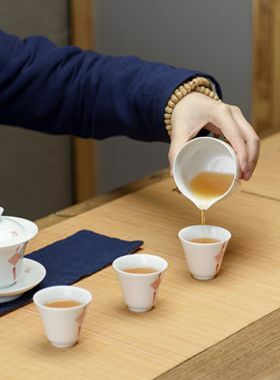 Moreover, the unique geography feature forms distinctive nutritious substances in the tea, which is the quality that low altitude tea doesn’t have. Under the high mountain and cold condition, processing Gao Leng tea will be extremely hard. The making of high quality oolong tea requires good material as well as good weather. Chinese people believe that when the weather favors us, it is the best time for making oolong tea. Good sunlight is needed; meanwhile the process must be quick. Nevertheless, the unstable weather on high mountain couldn’t allow the workers to make tea always in the best condition. In bad weathers, the Gao Leng tea wouldn’t have high quality. No wonder why top teas are always expensive. The result of making high quality teas are limited by many factors. However, if you have a chance to taste it, you will think it values. 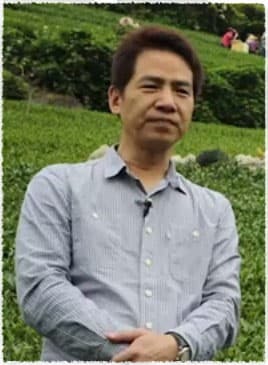 Mr. Lui Zhiqiang is the sixth generation owner of his family tea business, owning the highest tea garden in Taiwan, atop Fushou Mountain. 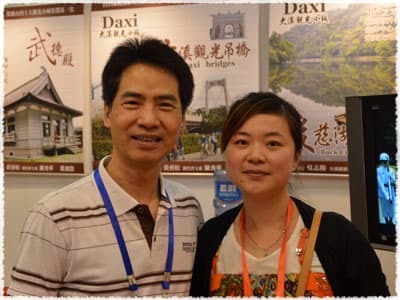 In 2006, Taiwan hosted the World Famous Tea Expo, with Mr. Lui as one of the sponsors. 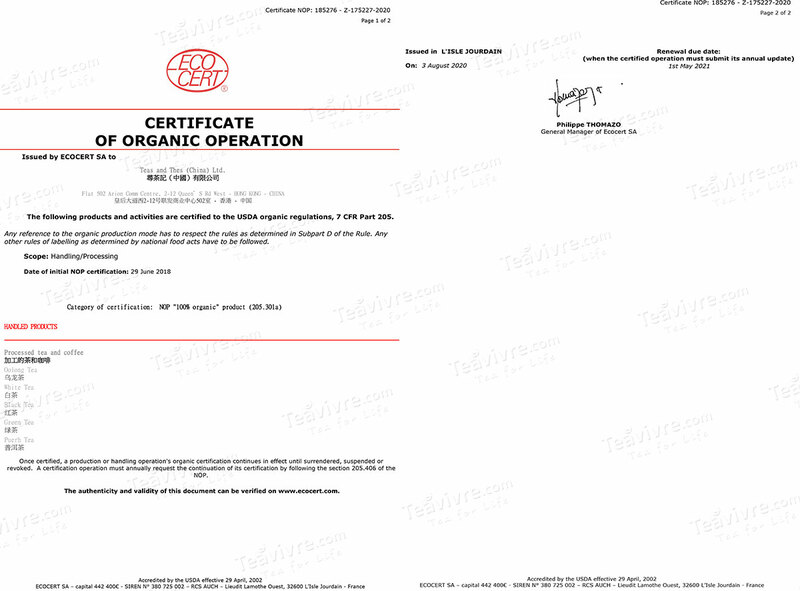 He also founded the Taiwan Tea Roasting Technical Seminar. Apart from tea, he is also experienced in firing porcelain teawares. Lui keeps a unique understanding of building a tea garden: the key is to integrate the environment, soil, and weather with the tea itself, and that water is the most powerful material to ensure this. 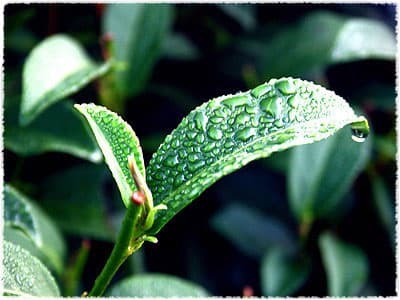 80% of the tea leaf is composed of water, and the water carries the characteristics of soil and weather into the leaves. When asked about picking fresh leaves, Mr. Lui said that as well as being tender, the leaf must be thick and fleshy, bright green in color: these are the requirements for making good high mountain tea. The tea leaves of this Ali Shan Oolong Tea are from Ali Shan which is one of the most famous growing areas in Taiwan in Taiwan. Alishan almost covers 1/5 areas of Chiayi. At the elevation of 1000 to 1600 meters, the mountainsides are covered with fog or clouds which are ideal for growing Oolong. Ali Shan is famous scenery in Taiwan which lies at the east of Chiayi County. With the dense forest, Ali Mountain owns a reputation as the best summer resort in Taiwan. In Chiayi County, several villages which locate in high mountain areas have tea gardens, including Alishan Village, Meishan Village, Zhuqi Village, Zhongpu Village, Dapu Village, Falu Village. C.sinensis cv.Taicha 12 (also named Jinxuan species nowadays) is a kind of clone and shrub. Jin Xuan is a special variety of Camellia Sinesis (tea plant) developed through research at the Taiwan Tea Agricultural Research center. 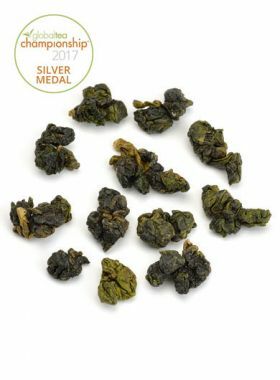 This special variety is known for producing Oolong with a unique spring floral fragrance and a creaminess undertone, which makes it exceptionally popular.